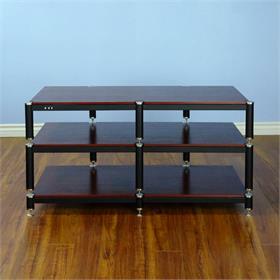 TV stands for televisions with pedestals have flat tops and often include shelving for AV components. 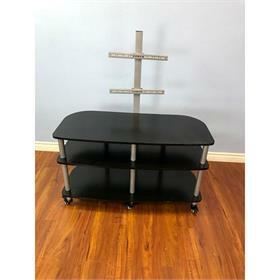 DisplayThisWay offers traditional TV stands of this kind, but also more modern stands with flat screen mounts. VTI is a featured brand. They offer open-shelved television stands, audio video racks as well as audio racks. If you'd like your TV stand and audio rack to match, check out the VTI audio racks. 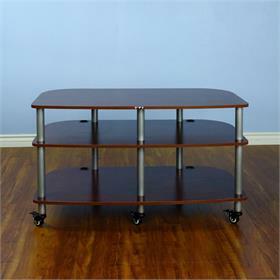 See additional information on the VTI AGR37BB-SAMPLE AGR Series 37 inch TV Stand (Floor Model) below. See additional information on the VTI AGR44SB-SAMPLE AGR Series 44 inch TV Stand (Floor Model) below. 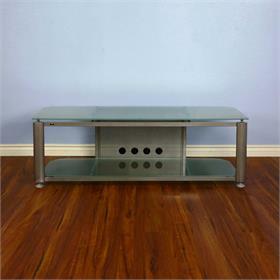 See additional information on the VTI AR503SB-SAMPLE AR Series 41 inch TV Stand (Floor Model) below. 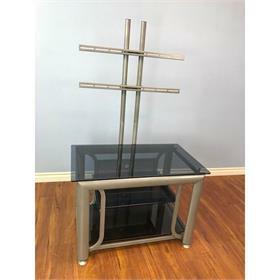 See additional information on the VTI AGR37S AGR Series 37 inch TV Stand (Silver Pole Clear Glass) below. 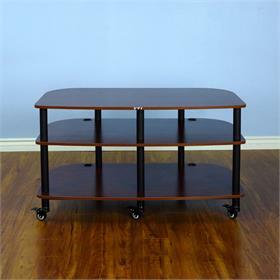 See additional information on the VTI 96064-SAMPLE 37 inch TV Stand (Floor Model) below. 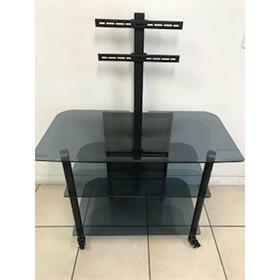 See additional information on the VTI AGR44B AGR Series 44 inch TV Stand (Black Pole Clear Glass) below. See additional information on the VTI 90064-SAMPLE 48 inch TV Stand (Floor Model) below. 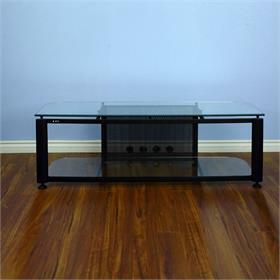 See additional information on the VTI AR503BB AR Series 41 inch TV Stand (Black Pole Black Shelf) below. See additional information on the VTI AR503BC AR Series 41 inch TV Stand (Black Pole Cherry Shelf) below. See additional information on the VTI AR503SC AR Series 41 inch TV Stand (Silver Pole Cherry Shelf) below. 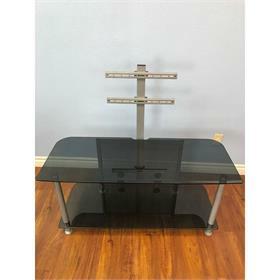 See additional information on the VTI AR503SB AR Series 41 inch TV Stand (Silver Pole Black Shelf) below. 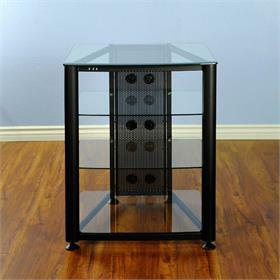 See additional information on the VTI RGR404B RGR Series 4 Shelf AV Rack (Black Frame Clear Glass) below. See additional information on the VTI RGR404SW RGR Series 4 Shelf AV Rack (Silver Frame Clear Glass) below. 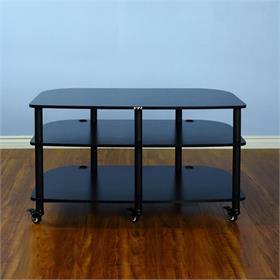 See additional information on the VTI BL503BB BL Series TV Stand (Black Cap Black Pole Black Shelf) below. See additional information on the VTI BL503BC BL Series TV Stand (Black Cap Black Pole Cherry Shelf) below. See additional information on the VTI BL503BO BL Series TV Stand (Black Cap Black Pole Oak Shelf) below. 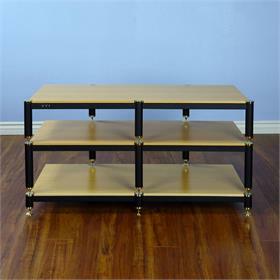 See additional information on the VTI BL503GO BL Series TV Stand (Gold Cap Black Pole Oak Shelf) below. See additional information on the VTI BL503GC BL Series TV Stand (Gold Cap Black Pole Cherry Shelf) below. See additional information on the VTI BL503GB BL Series TV Stand (Gold Cap Black Pole Black Shelf) below. 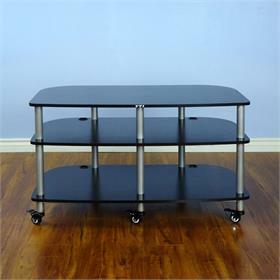 See additional information on the VTI BL503SB BL Series TV Stand (Silver Cap Black Pole Black Shelf) below. 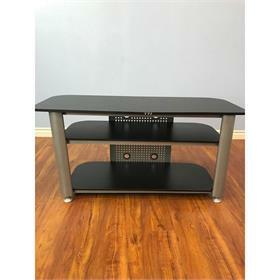 See additional information on the VTI BL503SC BL Series TV Stand (Silver Cap Black Pole Cherry Shelf) below. 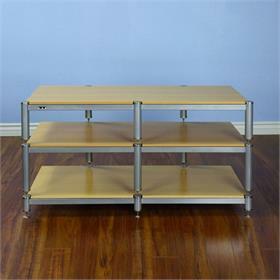 See additional information on the VTI BL503SO BL Series TV Stand (Silver Cap Black Pole Oak Shelf) below. 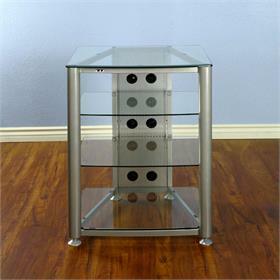 See additional information on the VTI BL503SSO BL Series TV Stand (Silver Cap Silver Pole Oak Shelf) below. 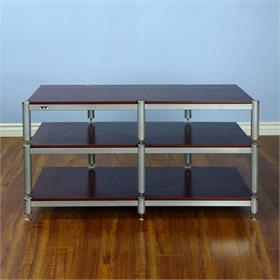 See additional information on the VTI BL503SSC BL Series TV Stand (Silver Cap Silver Pole Cherry Shelf) below. 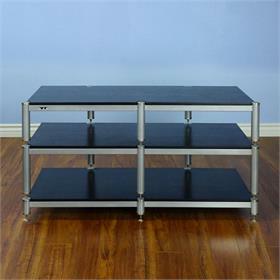 See additional information on the VTI BL503SSB BL Series TV Stand (Silver Cap Silver Pole Black Shelf) below. 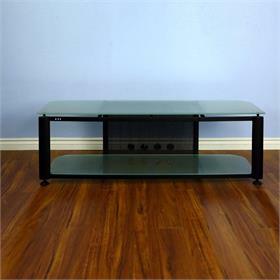 See additional information on the VTI HGR60B HGR Series TV Stand (Black Frame Clear Glass) below. 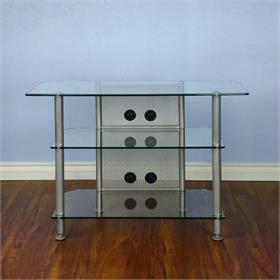 See additional information on the VTI HGR60S HGR Series TV Stand (Silver Frame Clear Glass) below. 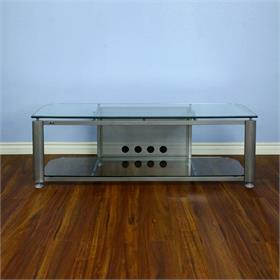 See additional information on the VTI HGR60SF HGR Series TV Stand (Silver Frame Frosted Glass) below. 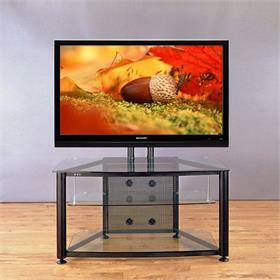 See additional information on the VTI HGR60BF HGR Series TV Stand (Black Frame Frosted Glass) below. 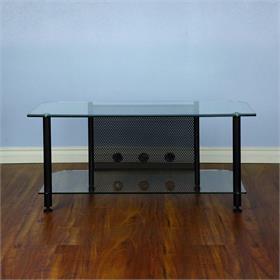 See additional information on the VTI RFR403BW RFR Series TV Stand with Mount (Black Frame Clear Glass) below.